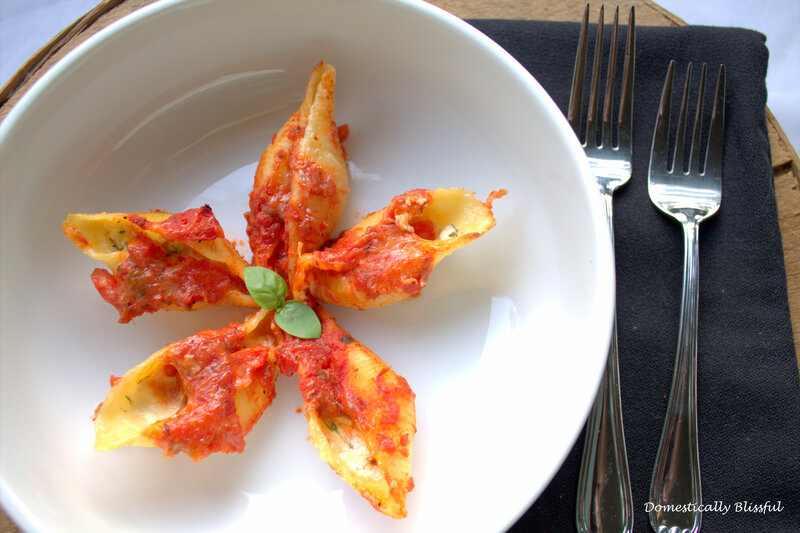 This Stuffed Shells recipe is an easy go-to recipe that can be made in advance and be cooked while you attend to the busy necessities of life. 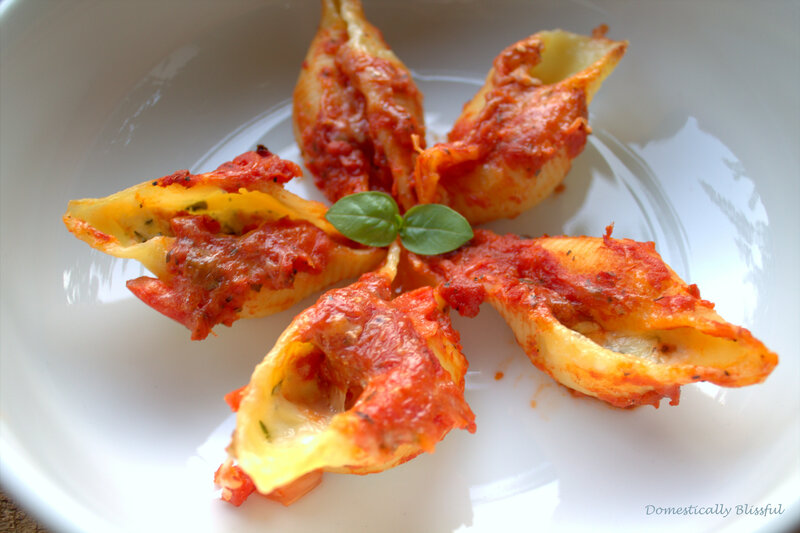 This recipe easily makes enough for 3-4 people but if you love Italian food as much as I do you might find yourself going back for seconds – or even thirds! 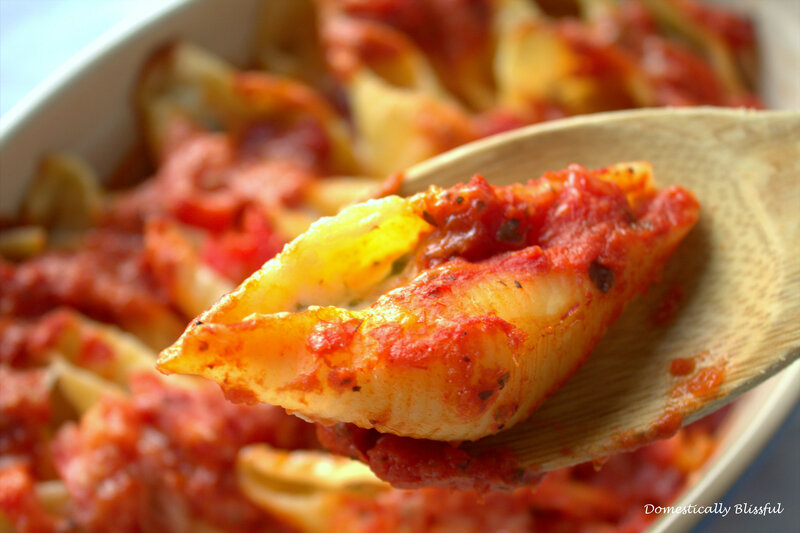 First, pour half of the tomato sauce – ½ cup – on the bottom of the pan and sprinkle in ½ of the tomatoes. 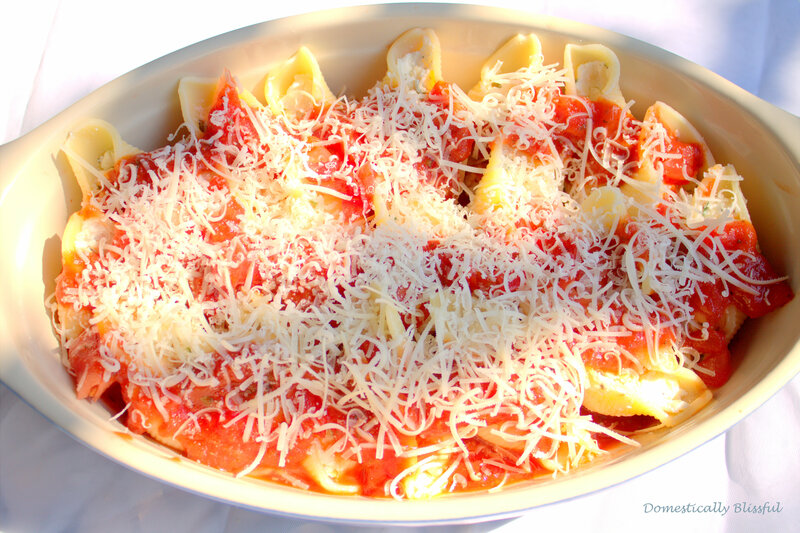 If you are a mushrooms and onions type of person – not my husband’s favorite – you could add some along with the tomatoes and tomato sauce. 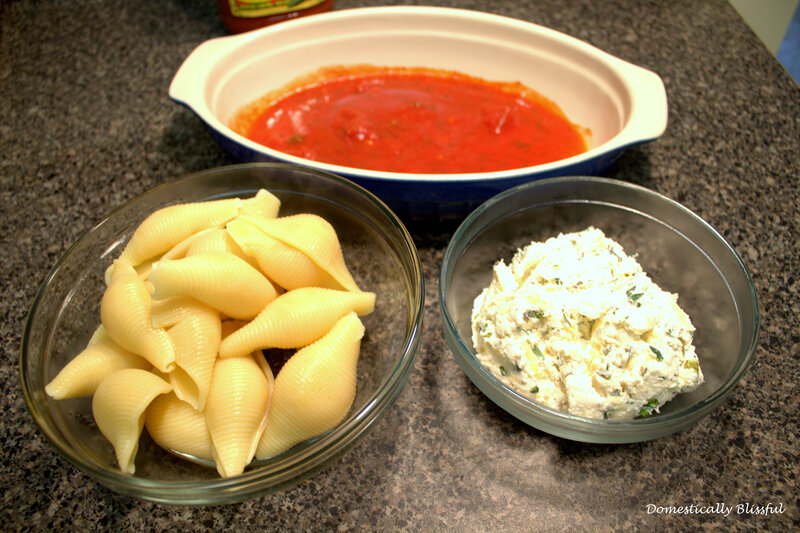 Next, stuff each shell with a little less than 1 tablespoon of ricotta cheese – 1 cup equals 16 tablespoons – and layer them in your pan on top of the sauce. 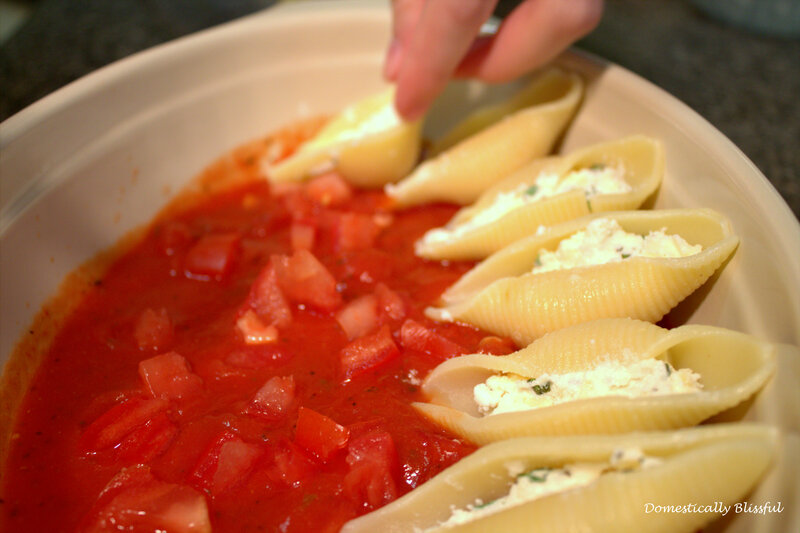 Now pour the rest of your tomato sauce and tomatoes on top of the stuffed shells and sprinkle with parmesan cheese. 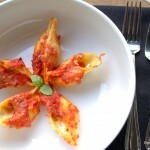 I like to make this in advance, cover it with foil, and keep in my refrigerator until I am ready to cook it. Bake at 375° for 25-30 minutes covered – cooking it a little longer if it has been sitting in the fridge – and then at 425° for 10-15 minutes until the cheese is nicely golden. 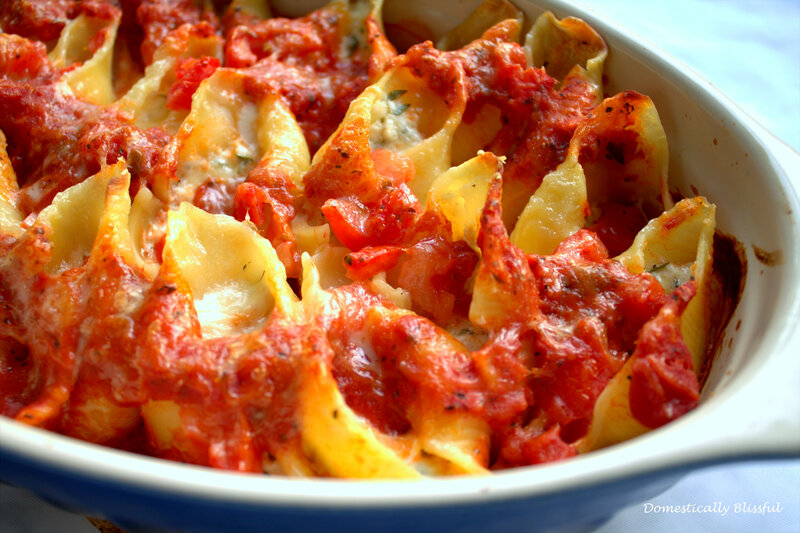 Remove from the oven, let cool, serve and enjoy! Bake at 375 for 25-30 minutes covered – cooking it a little longer if it has been sitting in the fridge – and then at 425 for 10-15 minutes until the cheese is nicely golden.